The “Author” role is one of 5 key user roles in WordPress, alongside “Subscriber“, “Contributor“, “Editor” and “Administrator”. You may see the “Author” role listed in the middle of this group. Authors do have more permissions than some roles and less than others. But don’t be fooled. Authors have few real capabilities in a WordPress site. This next image shows a chart taken from the WordPress Explained book which shows how Authors fit in alongside other WordPress user roles. To be honest, the only thing that Authors can do is manage their own posts. 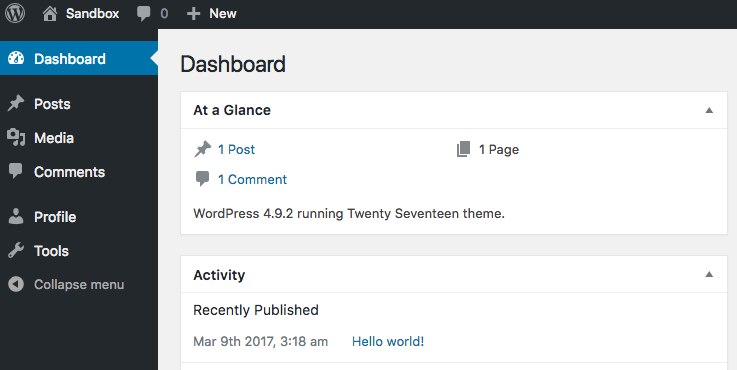 What Can Authors See in the WordPress Dashboard? Unlike Subscribers, people in the Author role can access the WordPress admin area. This next image shows what an Author sees if they log in to the WordPress admin. They can see “Posts”, “Media” and “Comments”. If an Author visits the Posts screen, they will only see the “Edit” links for their own posts. For all other posts, they will simply see “View” link. The Title of the post is not clickable. On the Comments screen, the Author will be able to see all the comments on the site. They will see a “Bulk Actions” dropdown, but they are not actually able to manage comments. In the Tools screen, the Authors will see a completely blank screen. Yes, as with the “Bulk Actions” dropdown for Comments, access to this Tools is probably a bug. Can You Change the Author Permissions? Yes, you can give the Authors more permissions than they have with default WordPress. 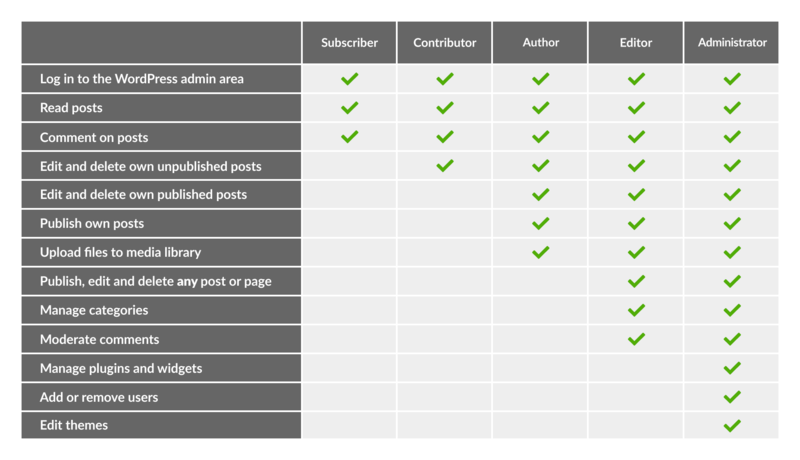 This next image shows the permissions available to Authors for Posts and Pages. Notice that Authors are not allowed to touch anyone else’s content. They do not have the “Edit others” or “Delete others” permissions. Also in the image above, notice the permissions available to Authors for Pages. They can’t do anything at all with pages! How Does PublishPress Work With Authors? PublishPress has a ton of different features available to improve the experience for Authors in WordPress. The Multiple Authors add-on allows you to assign more than one Author to a single post. You can set up a pre-publishing checklist so Authors know exactly what to include in each post. Click here to see Author permissions for PublishPress screens. Is it possible to let a user edit just one page on a site? Yes, that’s possible with a plugin like this: https://wordpress.org/plugins/press-permit-core/. That might make a good tutorial topic for our blog.